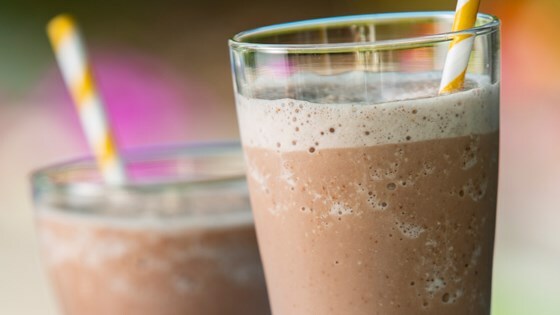 "This smoothie with Chocolate Almond Breeze almondmilk, bananas, and toasted almonds tastes similar to a chocolate-covered banana but is so much better for you!" You can also make this with Almond Breeze Unsweetened Chocolate almondmilk. Feel free to substitute chia seeds for the flax. yummy! threw some ice in for a frozen drink. delish! I used vanilla almond milk and added carob chips for the chocolate taste. Whole raw almonds and hulled hemp seeds as well. It was delicious!